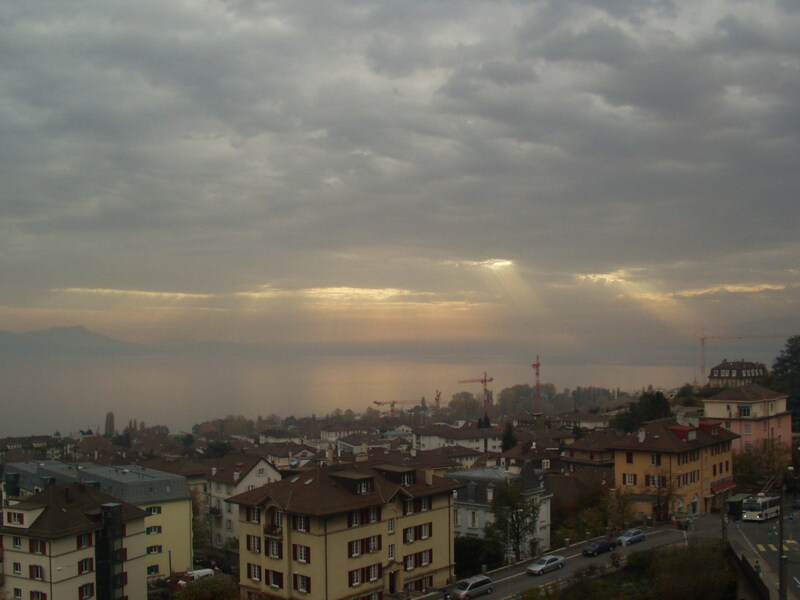 Lausanne is on a hill, next to a lake, which have mountains behind them. You can't ignore any of these. The hillside makes you really think carefully about your routes through town. The lake is usually in sight -- largely because of the hill. 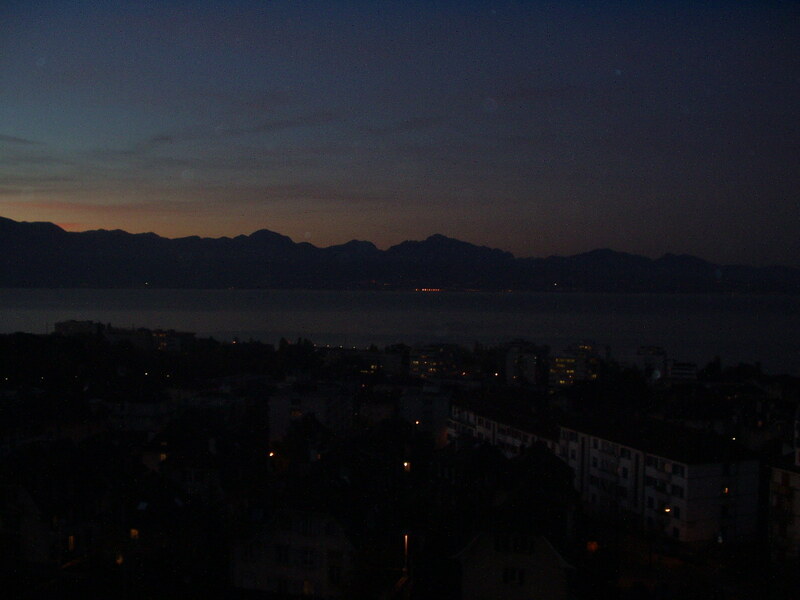 And whenever it's not too misty, you can see the the Alps rising on the other side. Walking around this place is like stepping through the pages of a fairy tale. These natural beauties hang over you almost everywhere in town. When apartments here list themselves as having a "view of the lake", you know exactly what they mean: they are on the hill, facing the lake, with the mountains in sight.